In the happy days of yore. 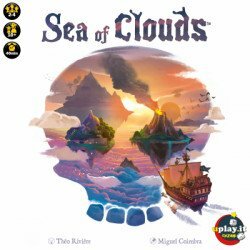 The players set out from Port Royal, and in each turn must make two straightforward decisions: to sail one of their ships to confront one of the Spanish galleons or settlements, and then to enlarge the treasure hoard at different Spanish galleon or settlement by playing a card. Each ship adds to the size of their fleet, and each card adds to the Spanish loot — or possibly to the Spanish defences! 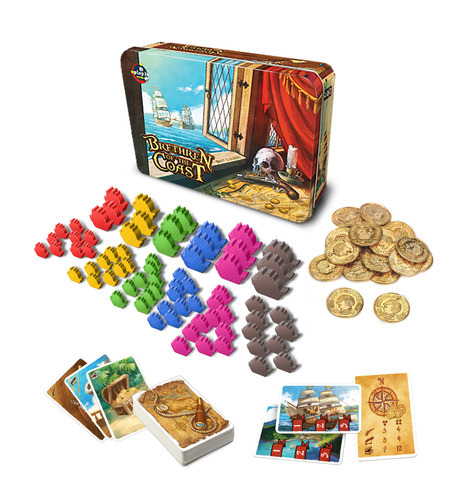 In this way, players compete for the opportunity to get the best of the Spanish treasure — doubloons and treasure chests — but cannot know at the beginning of the game exactly what treasure waits for them, nor how the Spanish will fight back when each galleon or settlement is ‘reckoned’ and the treasure finally shared. 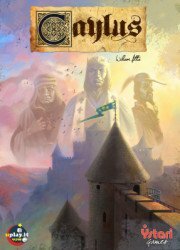 Each player begins the game with 4 doubloons, and may spend 1 to play a card face-down, hiding information from their compatriots. Will you hide the best loot, or are you secretly aiding the Spanish against your peers in the hope of gaining a bigger pay-out? At the end of the game, the players count up their hoard of doubloons. 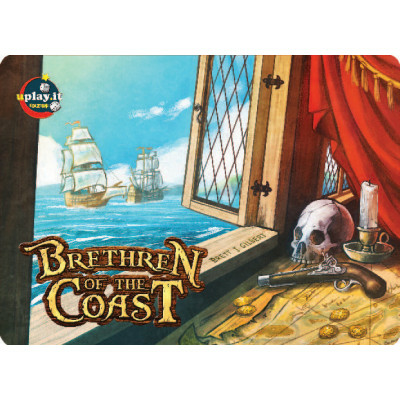 In addition, the two players who have collected the most and second-most treasure chests share all the doubloons spent to hide cards during the game — all other treasure chests are revealed to be worthless! 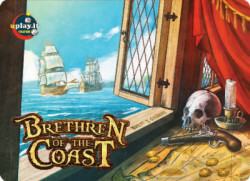 Can the other Brethren of the Coast be trusted? Will the Spanish attack the largest fleet or the smallest? The Brethren may have a code, but you are pirates, after all! Together you will defeat the Spanish, but only one pirate captain will win the day!